Wine Country’s chilly winter months call for warm and cozy surroundings in which to enjoy your favorite wines — and, with Valentine’s Day just around the corner, sparkling selections are certainly on the menu. 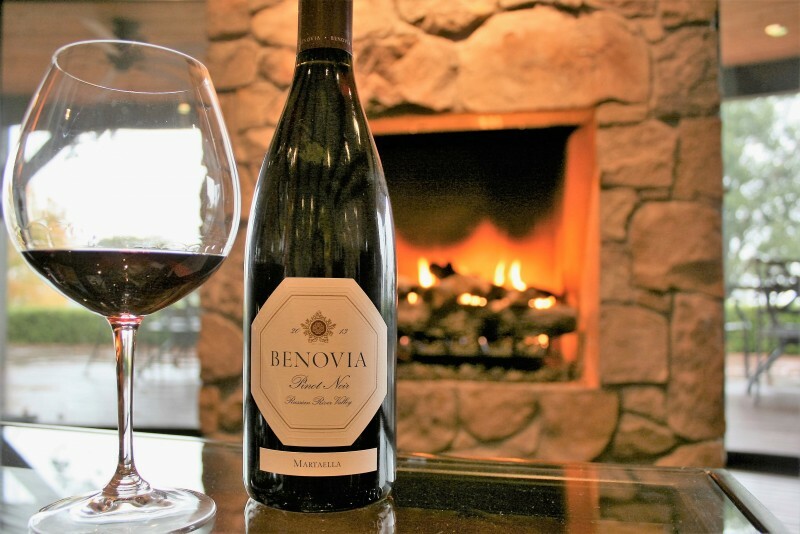 A roaring fire warms a seating area at Benovia Winery in rural northwest Santa Rosa. Alexander Valley Vineyards offers a wide array of wines grown both on the estate and sourced from select vineyards. Visitors can enjoy complimentary tastings as well as winery and cave tours for groups of less than 10, or you can book a private tour and reserve wine tasting ($15) or a wine and cheese pairing ($25) with advance notice. 8644 Highway 128, Healdsburg, 707-4337209, avvwine.com. Best known for its Zinfandels, Bella also offers Chardonnay, Pinot Noir and Petite Sirah. Wine tasting in the cave is offered daily ($10) without reservations, or you can reserve a personal blending experience ($55) or “Unleash the Beast” cave tour featuring vineyard-designate wines — including Bella’s monster Zin, The Beast. 9711 West Dry Creek Road, Healdsburg, 707-473-9171, bellawinery.com. 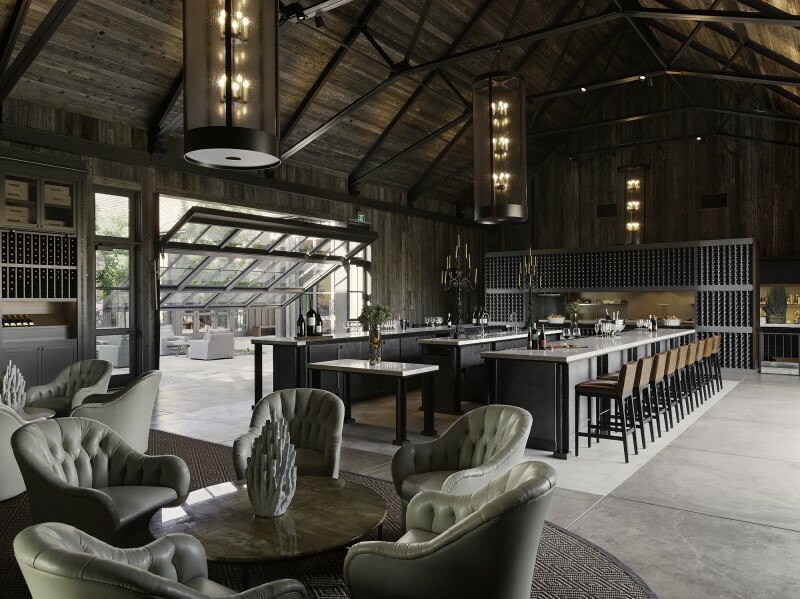 Co-founders Joe Anderson and Mary Dewane and winemaker/coowner Mike Sullivan opened their visitor’s center, a former Russian River Valley ranch house, in 2011. The winery specializes in Pinot Noir and Chardonnay and also offers Zinfandel and Grenache. It’s open daily by appointment ($20) for intimate currentrelease tastings. 3339 Hartman Road, Santa Rosa, 707-921-1040, benoviawinery. com. A multitude of experiences are offered at Jean-Charles Boisset’s Russian River Valley winery, which specializes in Pinot Noir and Chardonnay. The Pinot by the Fire experience ($50) features wines grown in the estate’s biodynamic vineyard paired with select cheeses. It’s available by appointment on weekends until the end of February and takes place in the estate’s private guesthouse. 1791 Olivet Road, Santa Rosa, 707-755-3300, deloachvineyards.com. Relax next to the large outdoor fireplace while taking in the views and enjoying a picnic at Debra Mathy’s warm and welcoming winery featuring winemaker Kerry Damskey’s selection of vineyard-designate and blended offerings. Leashed dogs are welcome, and you might even get to meet Dutchess — Mathy’s golden Lab and the winery’s official greeter. Don’t forget to check out the penny-farthing bicycle in the tasting room. 8533 Dry Creek Road, Healdsburg, 707-4312700, dutchercrossingwinery.com. From its perch atop Laguna de Santa Rosa, Fog Crest offers Pinot Noir, Chardonnay and rosé wines crafted by winemaker Jérôme Chéry. Open daily for wine tasting ($15), the intimate room features leather seating next to the fireplace as well as a patio where you can take in the view. Cheese plates ($25) are available, as are gourmet wine and food pairing lunches ($45) by appointment. 7606 Occidental Road, Sebastopol, 707 829-2006, fogcrestvineyard.com. Overlooking the Pacific and miles of redwood forests, Fort Ross Vineyard & Winery offers estate-grown, singlevineyard Pinot Noir, Chardonnay and Pinotage (a South African grape planted by owners Linda and Lester Schwartz, who moved here from South Africa in the 1970s). 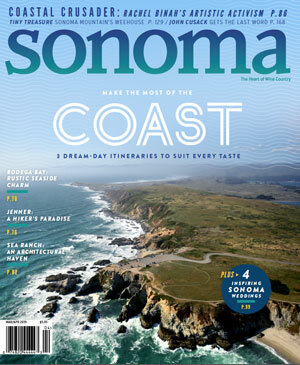 It’s the closest winery to the coast in California — and well worth the drive. 15725 Meyers Grade Road, Jenner, 707847-3460, fortrossvineyard.com. Built into a hillside at the northern edge of Dry Creek Valley, Fritz Underground Winery offers a wide array of wines crafted by winemaker Brad Longton. All wines are estate-grown or sourced from Sonoma County vineyards. Sample current releases ($15) and reserve wines ($20), or reserve an underground winery tour to see where the magic happens ($30; by appointment on weekends). 24691 Dutcher Creek Road, Cloverdale, 707-894-3389, fritzwinery.com. Nestled on a ridge featuring expansive views of Sonoma County’s Carneros AVA, Gloria Ferrer is best known for its sparkling wines. Try a flight of both still and sparkling offerings ($25-$33), or opt for a glass ($7-$20). Various tours and experiences are available by appointment, including “Bubbles and Bites” ($60), which includes an educational tour followed by a seated wine tasting paired with seasonal nibbles. 23555 Highway 121, Sonoma, 707933-1917, gloriaferrer.com. Imagery is known for crafting wines from uncommon varieties and for its obvious appreciation of the visual arts. Consider experiencing this sublime mix of art and wine with a visit to Imagery’s large tasting bar or with a private estate tasting featuring premier wines. You can peruse the winery’s art collection and try to find the Parthenon likeness that appears in every work displayed. 14335 Sonoma Highway, Glen Ellen, 800969-8890, imagerywinery.com. Perched atop a ridge overlooking Green Valley of Russian River Valley (and beyond), the Sterling family’s intimate outdoor tasting room offers stunning views — the ideal location for a romantic toast. VIP behind-the-scenes tours ($30) featuring reserve wines are available weekdays by appointment, and reservations to visit are a must on weekends. 9786 Ross Station Road, Sebastopol, 707-887-1507, ironhorsevineyards.com. 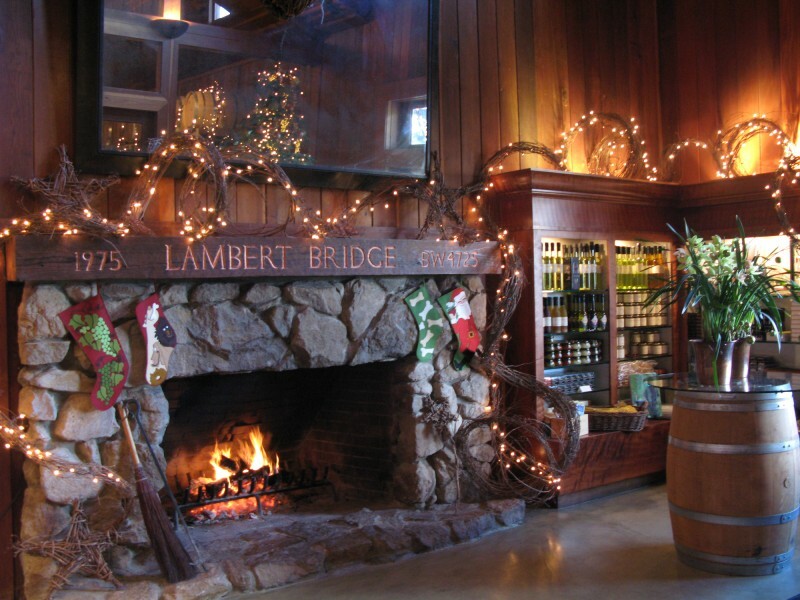 Specializing in Bordeaux varieties, Lambert Bridge also boasts a tasting room featuring a large fireplace, vaulted ceilings and a bar made of a single felled redwood tree. Glass walls provide a view into the barrel room, where you can enjoy reserved tastings ($35-50), or you can stay at the bar and choose your flight ($15-$25). 4085 West Dry Creek Road, Healdsburg, 800-9750555, lambertbridge.com. Lambert Bridge Winery on West Dry Creek Road near Healdsburg has a cozy tasting room with a fireplace. It’s all about wine, waves and soul at Longboard’s surf lounge. Owner and winemaker Oded Shakked crafts an assortment of varieties from Sauvignon Blanc to Syrah (and many in between) and has most recently added dry sparkling to his menu. The casual tasting room is adorned with a collection of surfboards and has a large flat-screen television featuring surf videos — but the wine and hospitality still take center stage here. 5 Fitch St., Healdsburg, 707-433-3473, longboardvineyards.com. 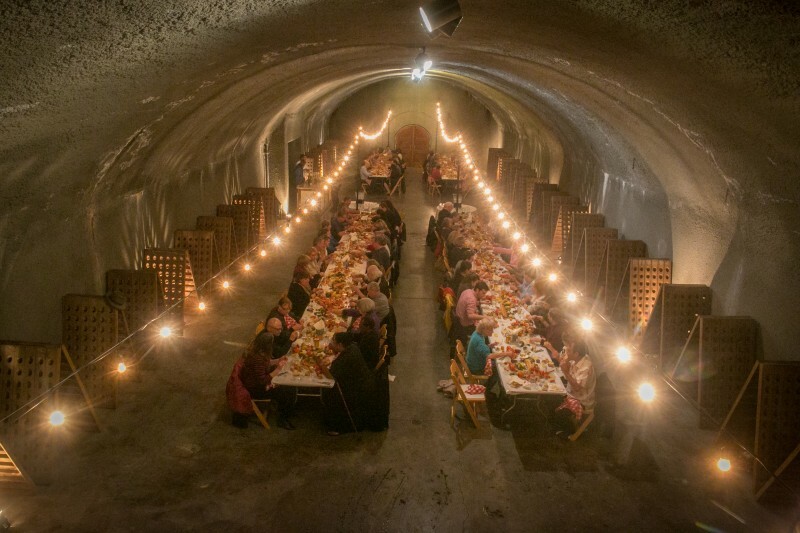 Located in a lovingly restored 114-year-old building, Pangloss Cellars was created to celebrate the positive things in life. Winemaker Erich Bradley focuses on wines grown in Sonoma Valley, and visitors can enjoy them at the bar ($25); in the expansive wood-and-stone lounge ($30-$50 with food pairings); or at a private seating by appointment in the cellar ($35 with charcuterie plate). 35 E. Napa St., Sonoma, 707-933-8565, panglosscellars.com. The Byck family’s Paradise Ridge Winery has two locations (Santa Rosa and Kenwood). The Santa Rosa estate’s warm and welcoming tasting room overlooks the city and beyond. The estate hosts all sorts of events and features a stunning sculpture garden. The Kenwood location has a palatepleasing herb-infused artisan chocolate and wine pairing experience that’s both unique and delicious. 4545 Thomas Lake Harris Drive, Santa Rosa, 707528-9463; 8860 Sonoma Highway, Kenwood, 707-282-9020, prwinery.com. The Sonoma House at Patz & Hall is an elegant former residence-turned-tasting salon that’s open by reservation Thursday through Monday. Sit by the warm fireplace for one of the winery’s seated tastings ($35-$60; some include food pairings) and enjoy a selection of single-vineyard Pinot Noir and Chardonnay. 21200 8th St. E., Sonoma, 707-265-7700, patzhall.com. Feel as though you’re in a mountain lodge while taking in the Carneros views at Ram’s Gate Winery. There are multiple experiences and spaces to enjoy by appointment ($40-$250; some are seasonal and many offer food pairings — highly recommended) Thursday through Monday, and each space is warmed by a roaring fireplace. 28700 Arnold Drive, Sonoma, 707-721-8700, ramsgatewinery.com. Ram’s Gate Winery has the feel of a very elegant mountain lodge, with expansive views of its Carneros setting. 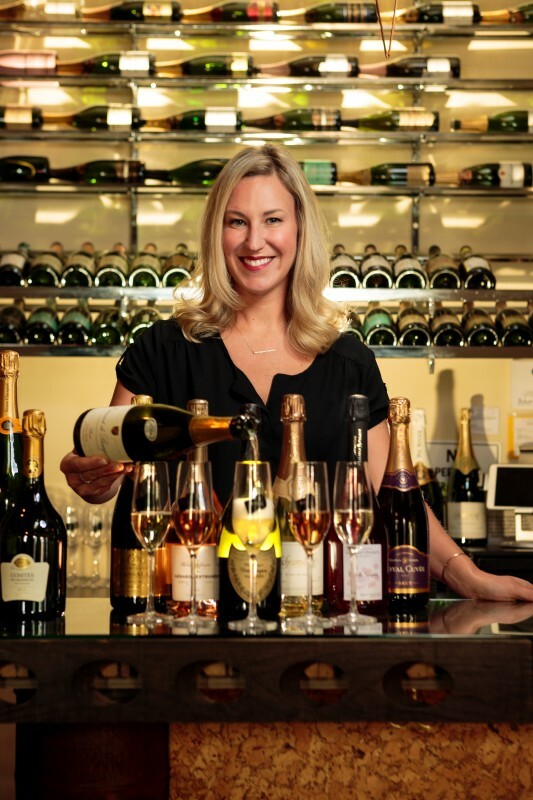 Sigh Sonoma is a bubbles-only tasting bar and lounge conceived by owner and “bubble boss” Jayme Powers, who has curated an outstanding array of local and international sparkling selections. Stop in to enjoy wines by the flight, glass or bottle. Local cheeses are also available, and if you order a bottle, the staff will saber it for you upon request. 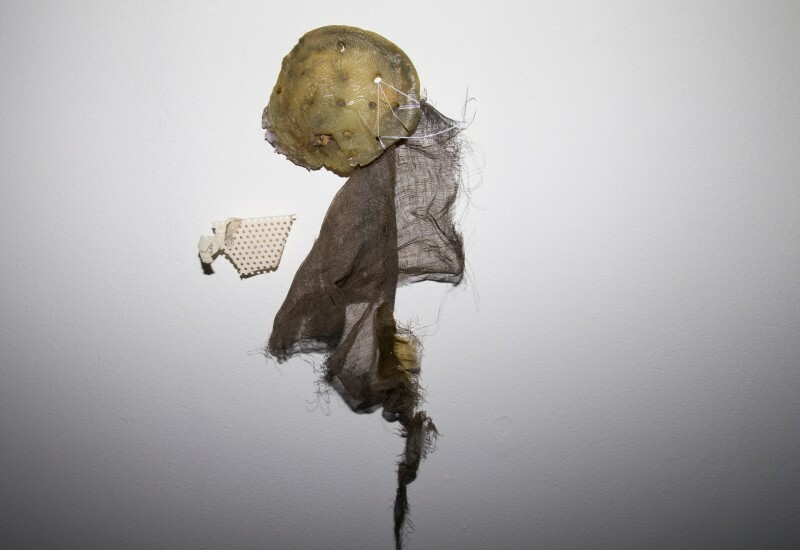 29 E. Napa St., Suite C, Sonoma, 707-996-2444, sighsonoma.com. Father-and-son team Thomas and Jeremy Baker’s Thomas George Estates focuses on site-specific Chardonnay and Pinot Noir crafted by winemaker John Wilson. Drop in for a casual tasting ($20-$40) or go for a tour and tasting ($30) by appointment Thursday through Sunday, to explore the production facility, winery and cave. 8075 Westside Road, Healdsburg, 707431-8031, thomasgeorgeestates.com. Located in the meticulously restored, historic Vallejo-Casteñada adobe in downtown Sonoma, Three Sticks Wines features intimate wine tasting experiences ($35-$200; some with food pairings) that involve history, art and a true sense of home. There are several places throughout the property where you can enjoy the signature Chardonnay, Pinot Noir and Cabernet Sauvignon crafted by winemaker Bob Cabral. 143 W. Spain St., Sonoma, 707-996-3328, threestickswines.com. Walt focuses on vineyard-specific Pinot Noir and Chardonnay. Its tasting room just off the Sonoma square is located in a redesigned residence and offers wine tasting with or without an appointment ($30) for groups of six or less — or you can reserve one of a handful of special tastings, some of which include small bites by local purveyor the girl & the fig. Consider spoiling yourself with the Chardonnay & Caviar experience ($50-$100). 380 1st St. W., Sonoma, 707933-4440, waltwines.com.